The unit is tastefully decorated with tropical colors and is fully equipped to meet your vacationing needs. There are flat screen TV in every room. The master has a king bed, and there are two full-size beds in the second bedroom. This place is super nice, super clean with a very large kitchen with everything one could possibly need to cook - but the seafood in the area is so good - we only cooked breakfasts. The place is oversized for a condo - large rooms and living areas. The greatest spot of the whole condo is the balcony !!!! The beach is a no drive private beach - clean and fun !! Book this condo and you won't be disappointed. We loved it !! Be warned - if you bring your dog - you are not allowed to let them on the beach or the pool area. There are tiny grass areas in the front - I was SO happy we changed our mind and left our dog with our daughter. I know vacations are precious, I try to make your stay in my condo as perfect as possible. The view from the balcony makes my job easier. Condo was spacious and view was amazing! We stayed the week of July 4th. Dealing with Jerry & Mary was a breeze. The condo was in a great location. Beach front, no drive beach. Condo was super clean & very well equipped, for all of our needs. I could have just spent my whole time there, on the balcony! What a great view!! The weather was perfect, constant breeze! This was our first trip to Daytona and we wanted a relaxing vacation & that’s exactly what we got. 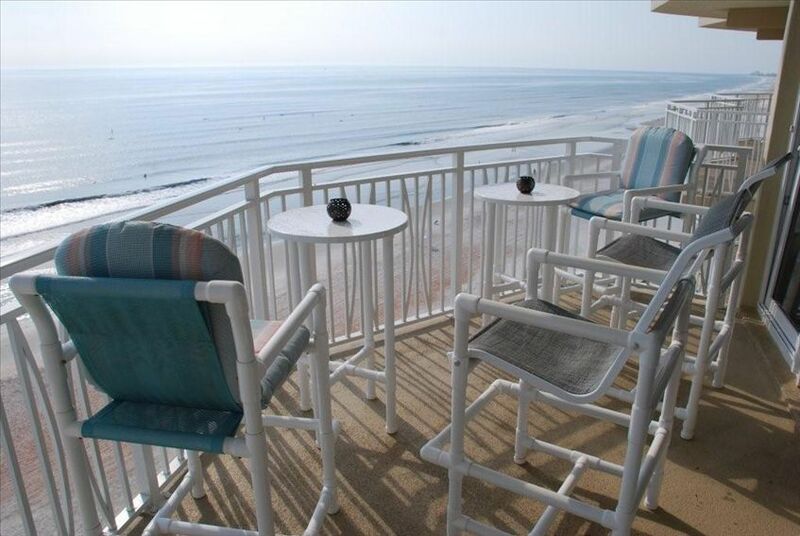 Not far from Daytona Beach boardwalk, conveniently located near restaurants, the pier & grocery stores. Our last night was the 4th & we cooked a steak dinner, ate on the balcony, over looking the ocean & after we were done eating, the fireworks started. You could see them from the pier, to right in front of our balcony (on the 11th floor) all the way down to Ponce Inlet. Best 4th of July I’ve ever had. Didn’t have to go fight the crowds or the traffic. We just enjoyed the fireworks right from the comfort of the condo! Really great fireworks show! I highly recommend Jerry’s condo. If you stay here you won’t regret it! Hopefully we will return soon. We have told all of our friends and family about our great stay! Definitely one for the books! Thank you Jerry & Mary for a wonderful stay!! I would give it 10 stars, if I could! Thank you got your great review. Everything you mention is why I love the place. Fantastic condo with excellent views! This was our first stay at this location and it was great. We had two vehicles in our party and there was no issue with parking at all. Very quiet. Beach was not over crowded with people. The condo was great. Plenty of room to move around. Very pet friendly property. Had a question in the beginning and the owner was very quick to respond. The view of this condo was fantastic. And the location was awesome as well. We would highly recommend this property. Our family had a wonderful time. Thank you for your kind words. I strive to provide my quests with their most enjoyable vacation. This was the second time we stayed here. It is very quiet yet convenient to everything you want to be near. The view from this unit is AWESOME !!! We're already looking forward to next year. We highly recommend!